Hot Games Gaming Blogger Template is a perfectly crafted template for gaming, store and magazine websites. 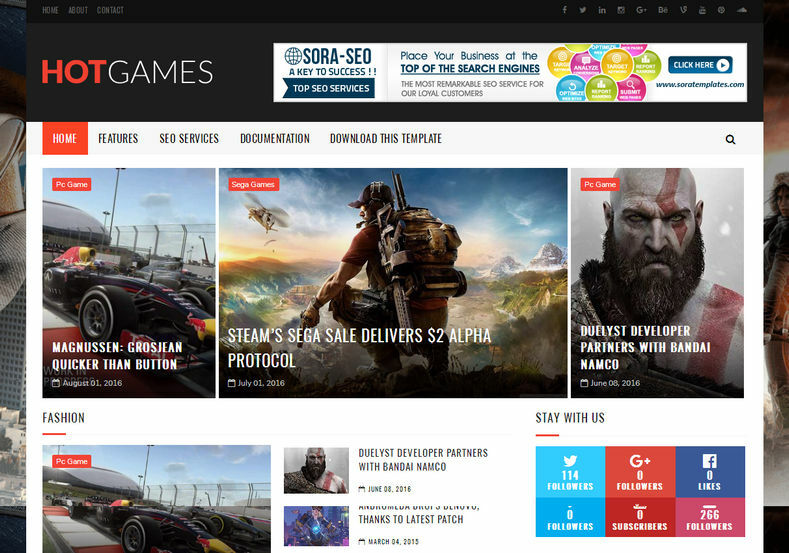 This template is suitable for any game portal, startup, news portal or just your personal website or blog. Write blog posts and share your news. Many elements (shortcodes) are ready to use. Created using the latest Html5 & CSS3, it gives you the possibility of creating a sleek, eye-catching online magazine, blog, gaming or personal project site.